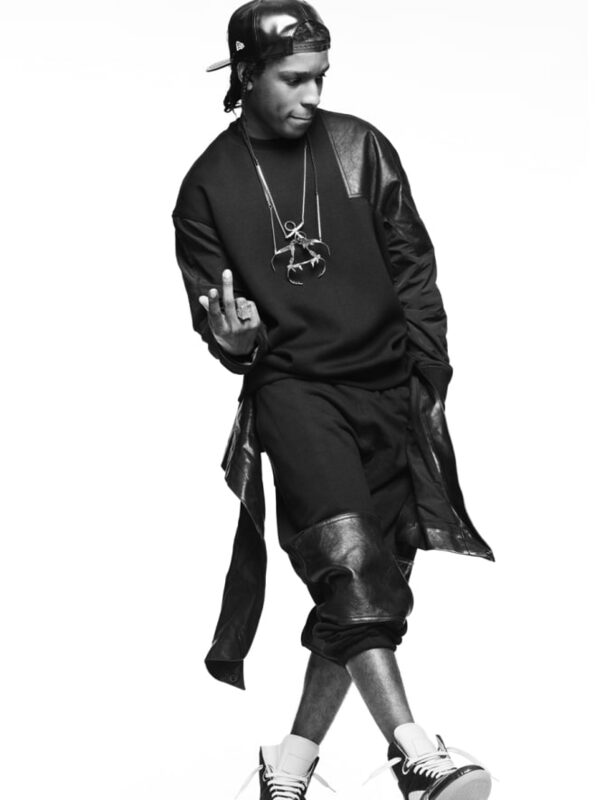 A$AP Rocky and the A$AP Mob brought more than just a new sound to the NYC hip-hop scene when he launched a jet-fuel powered career in 2011 with the hit “Peso.” Now 24, from the day the Harlem-bred rapper set his Margiela-clad feet in the game, he’s pushed hip-hop and street fashion in a whole new direction. Credit Rocky for introducing streetwear heads to their new favorite brand (Pigalle), bringing a fashion industry veteran into a new spotlight (Jeremy Scott), and helping another young designer build on his crossover appeal (Alexander Wang). Jay-Z is the New Yorker that got us here, now A$AP Rocky is leading the way.